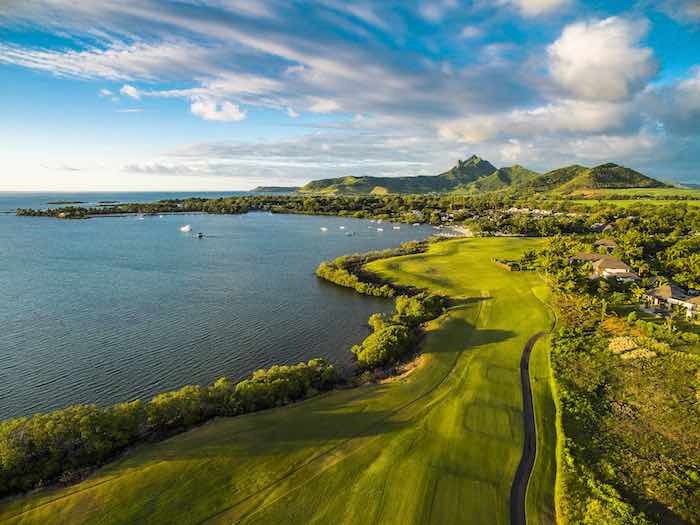 With just over four months to the start of the AfrAsia Bank Mauritius Open, Dave Usendorff says Anahita is in peak condition and ready to host the social event of the year. Usendorff, the director of golf at the Four Seasons Golf Club at Anahita, is delighted with the condition of the Ernie Els-designed golf course as they prepare to host the event for the second time in three years. The tournament – tri-sanctioned between the European Tour, Asian Tour and Sunshine Tour – will be played at Anahita from 29 November to 2 December, with a strong field competing for a minimum of €1-million in prize money. ‘The preparation of the golf course started at the beginning of the year, and the course is in fantastic condition,’ said Usendorff, who is also looking forward to the challenge it will pose for the professionals. Anahita will celebrate its 10th anniversary a month before the tournament. With its impressive 213 hectares, it is one of the leading residential estates in Mauritius with two prestigious resorts, including the Four Seasons. ‘We also have one of the best golf course superintendents in the world here in Mark Kirkby and he’s extremely passionate about this golf course, which was recently voted by TripAdvisor as the No 1 golf course in Mauritius,’ said Usendorff. Now in his second year as the director of golf at Anahita, this will be Usendorff’s first experience of hosting the AfrAsia Bank Mauritius Open. But as a respected and longstanding member of the PGA of South Africa, he brings a wealth of experience in serving at golf courses that have hosted major tournaments, such as the Tshwane Open – which is co-sanctioned by the European Tour and Sunshine Tour – and the South African PGA Championship on the Sunshine Tour. ‘It’s quite an honour for me to be in this position, but there are a lot of amazing people who make this tournament the success it is. Any time you’re hosting a tournament, there are the peripheral events that highlight the culture of Mauritius, and this is the social event of the year on the island. Golf becomes the glue in terms of bringing people together. Since its debut as a tri-sanctioned tournament in 2015, the AfrAsia Bank Mauritius Open has fast risen to attract the participation of some of the world’s leading professionals, including 2010 Open champion Louis Oosthuizen, 2011 Open champion and 2016 European Ryder Cup captain Darren Clarke, 2018 European Ryder Cup captain Thomas Bjorn, and a myriad of former Ryder Cup and Presidents Cup players as well as multiple Sunshine Tour, European Tour and Asian Tour winners. Dylan Frittelli’s victory in last year’s tournament helped him to break into the top 50 on the Official World Golf Rankings for the first time in his career, and the tournament’s worldwide television broadcast reach now extends to over 300-million households.